CEBU, Philippines – The invincible Cebu City contingent begins its quest to assert its lofty billing as the region’s undisputed sports superpower as action in the 2010 Central Visayas Regional Athletic Association (CVIRAA) Meet goes full blast today at separate venues in Danao City. Since 1993, no other delegation has defeated Cebu City for the overall championship of the annual sports conclave that gathers the region’s based school-based athletes from the elementary and secondary level. Even if the Department of Education (DepED) has changed its system in determining the overall winner of the multi-event spectacle, from medal count to points system, Cebu City was able to hold on its ground. As usual, Cebu Province, Dumaguete City and Oriental Negros pose as Cebu City’s strongest opponents. But instead of getting stronger, Cebu Province and Oriental Negros have somehow weakened with more divisions being added, while Dumaguete mainly banked on its swimmers and football players to deliver the goods. The likes of host Danao, Bogo, Carcar, and Naga are no longer under the umbrella of Cebu Province . For Oriental Negros, only Guinhulngan decided to join forces with its mother division as Bais, Bayawan and Tanjay will compete on their own.The rest of the competing delegations are Bohol, Lapu-Lapu, Mandaue, Siquijor, Tagbilaran City , Talisay City and Toledo City.For DepEd regional director Recaredo Borgonia, he wants to see the best performances of the athletes this time so CVIRAA will have a better representation in the Palarong Pambansa set from April 11 to 17 in Tarlac City. Borgonia observed that even if CVIRAA ranked fourth overall in the last Palaro in Tacloban, the difference of points and achievement between the overall champion and CVIRAA was so huge. “We hope to come up with the best athletes to represent Region VII. If not no.1, we hope we will do better in the upcoming Palaro,” Borgonia said earlier. 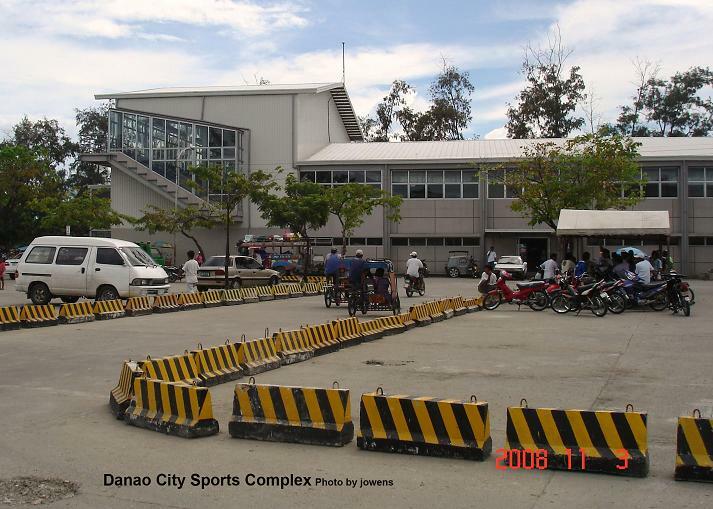 CEBU, Philippines – The region’s premiere school-based sporting event, the 2010 Central Visayas Regional Athletic Association (CVIRAA) Meet, formally unfurls with an elaborate opening ceremony today at the Ramon Durano, Sr. Memorial Sports Complex in Danao City. The kick-off salvo will be done early in the evening featuring a ‘Palabas’ from the host city and division of Danao spiced up with a spectacular fireworks display. Department of Education (DepEd) secretary Jesli Lapus and his Department of Tourism counterpart Joseph Ace Durano banner the long list of luminaries set to grace the grand opening bash. They will be joined by Cebu Governor Gwendolyn Garcia, Danao City Mayor Ramon “Nito” Durano III, his son Rep. Red Durano and the strong force from DepEd-7 led by regional director Recaredo Borgonia. “We would like to assure you that this will be the most attended opening ceremonies by the regional, provincial and LGU officials,” Rodriguez assured. The traditional parade of athletes has been cancelled so as not to exhaust the athletes who are gearing up for a week-long battle on different fronts. They will just be lined up around the oval for the presentation of the different teams.